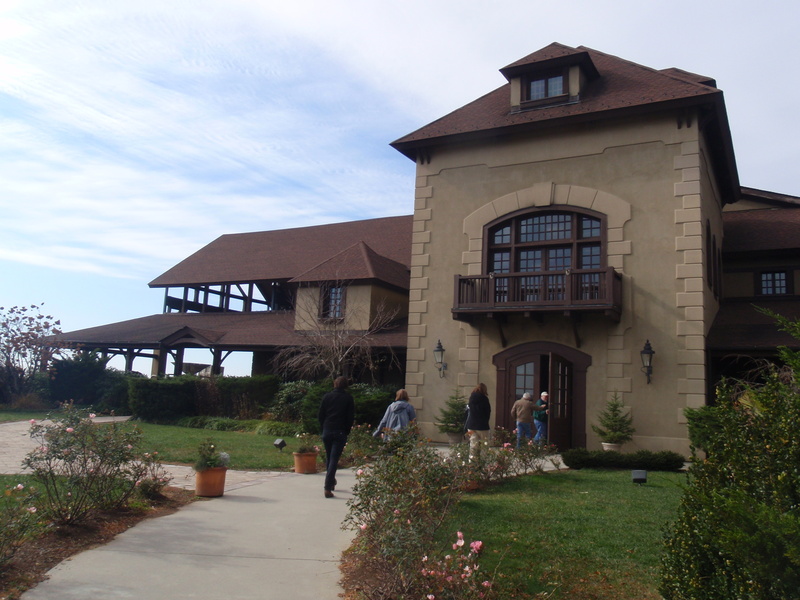 A few months ago, while on a short trip to the Roanoke Valley in southwestern Virginia, I took the opportunity to visit Chateau Morrisette Winery, located in Floyd, Virginia, between mile markers 171 and 172 on the Blue Ridge Parkway. 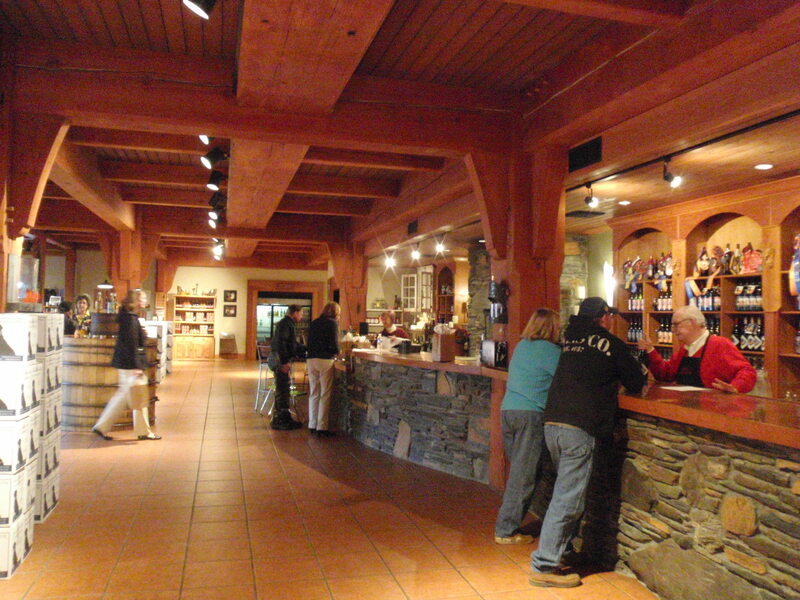 I knew this well-respected establishment at least included a timber-frame structure in its operations; what I didn’t realize was that the winery’s entire production facility and hospitality center were housed in one of the largest salvaged timber-frame structures in the United States. Nora Kuper, Chateau Morrisette’s vice president of marketing, led my tour through the breathtaking structure — 32,365 square feet of elegant post-and-beam construction. 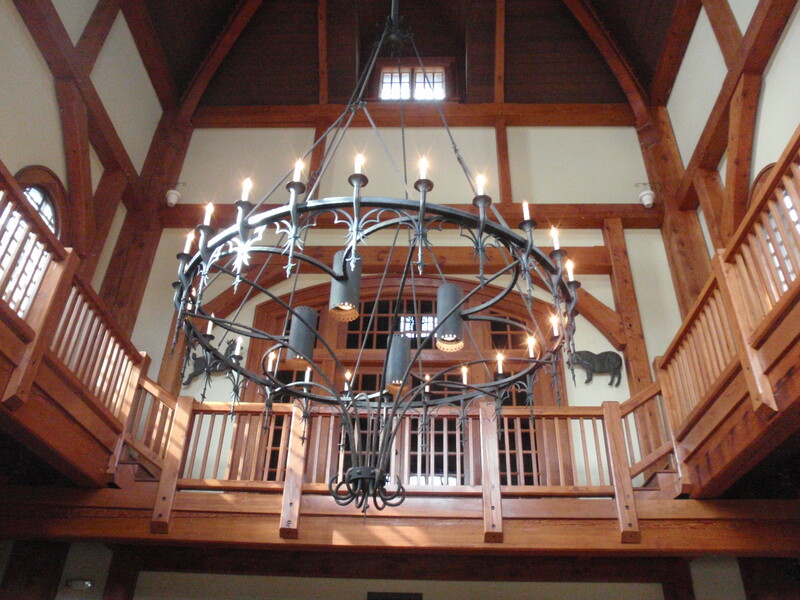 The soaring ceilings, easily 40 feet or more at their peaks, proved just how limitless, and how beautiful, timber framing can be. Other facilities of this size would be constructed of lifeless steel I-beams and corrugated metal, but Blue Ridge Timberwrights of nearby Christiansburg, Virginia, created this welcoming structure out of 132,000 board feet of recycled Douglas fir timbers, salvaged from floating log yards in the Sault Ste. Marie River and an old warehouse in Seattle. To give a better feel for the sheer size of the building, take a look at this excerpt from Chateau Morrisette’s press package detailing the breadth of their operations: “Completed in 1999, our 32,365 square feet state-of-the-art production building houses over 160,000 gallons of stainless-steel tanks, 50,000 gallons of capacity in French and American oak barrels, a twenty-two ton press and a bottling line with the capacity of 2,000 cases per shift.” Now that’s a lot of wine. 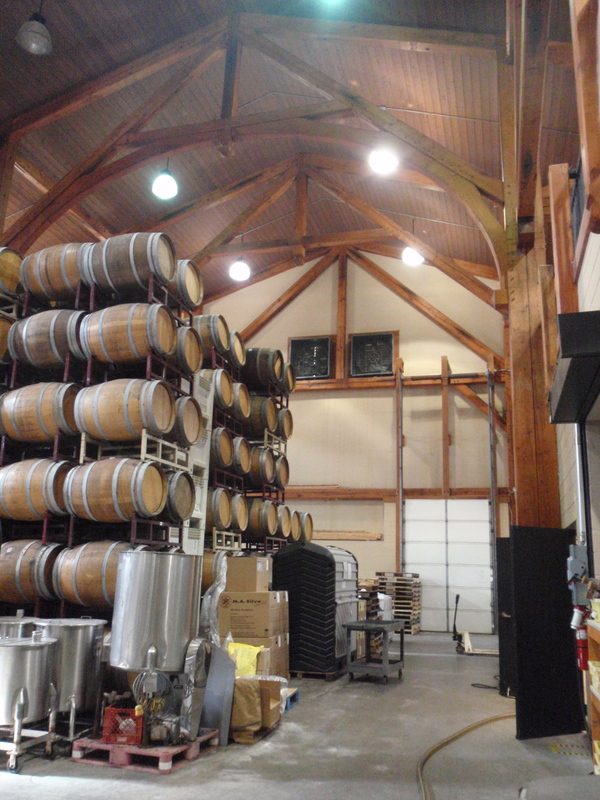 Even the necessary industrial-looking wine-making tanks didn’t detract from the charm created by the classic architecture. Take a look at some of the snapshots I grabbed while touring the grounds. 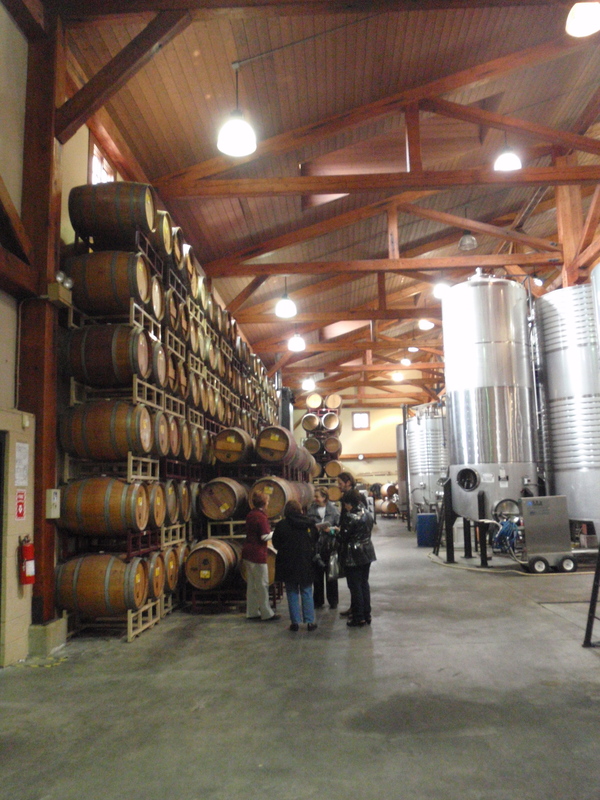 I had a wonderful time exploring the facility, sampling the wine, enjoying the fine cuisine from the on-premises gourmet restaurant and taking in the warm ambience these massive timbers provided. 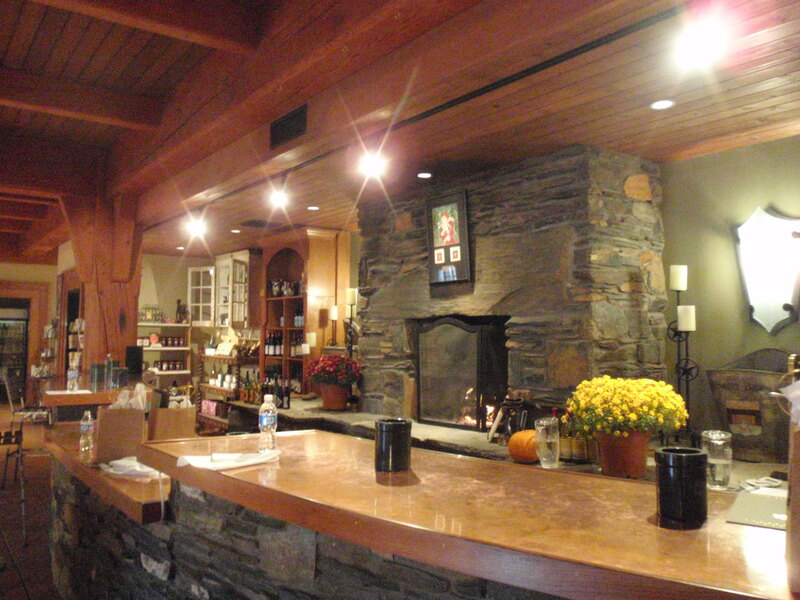 If you’re looking to build a timber-frame home and would like to see firsthand some of the limitless options timber framing provides, or if you’re just interested in good food and good wine and want to hide your true intentions under the guise of “architectural research,” take the scenic 90-minute drive from Roanoke. Trust me, you’ll be glad you did. Chateau Morrisette’s press materials claim, “The character and distinction of our wines are enhanced by this beautiful structure. 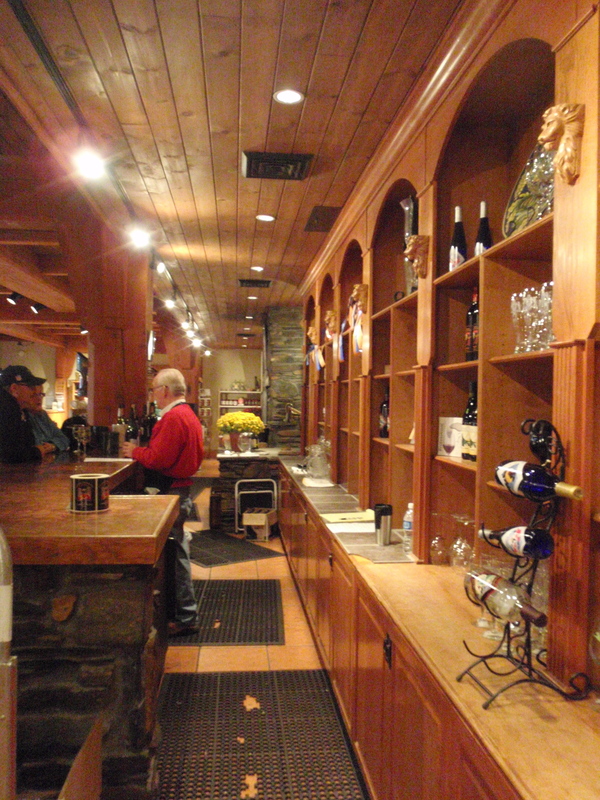 Only a visit in person can truly provide the full and ultimate Chateau Morrisette experience.” I wholeheartedly agree. While you’re there, I recommend trying the Vidal Blanc and Chambourcin wines, along with the mouthwatering shrimp and grits. If you go, let me know what you think! I’d love to hear about your experience.